So this is it. My first blog post ever, and what do I give you? A very ugly picture of some bubbly witch’s brew you had hoped you’d never have to see on a food blog that’s supposed to be about tantalizing treats. My apologies, let me explain. Not too many moons ago, I had an idea. I wanted to make something grow, put life where there had previously been none. I heard that if you combine just simple flour and water and wait, that you can transform these two ingredients into a new microorganism. A microorganism that has been beloved to people from the Ancient Egyptians to the Gold rush miners. Yes, you’d never believe it but this bubbly goop has been seen as something valuable and worth saving and caring for by many others besides just me. It has fed and nourished our great great great grandparents, and their loved ones before them. It might be humble in appearance, but this goop has power. It puts bread in our mouth, and energy in our bodies. It is my sourdough starter, and as ugly as it is, I stand by it. I thought it would be fitting to begin my blogging journey with a post about sourdough because, in my opinion, both endeavours require a leap of faith. 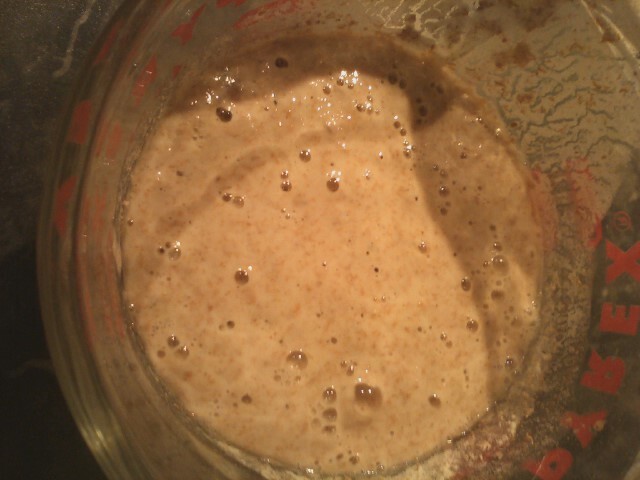 I didn’t know that the flour and water I mixed together would turn into a working sourdough starter. I could have been left with a jar of mould, but instead I was rewarded with wild yeast, a gift that would keep giving and contribute to countless loaves and many mouths fed. If you have ever thought about making your own starter, I strongly encourage you to just give it a try. I simply sterilized a small glass with boiling water, and then stirred 2 tbsp. of rye flour into 2 tbsp. of filtered water. I covered this lightly with a tea towel and positioned my experiment between some houseplants for some company. I had heard that wild yeast can be easier to cultivate in rural areas, but that was the closest I was going to get since I was in the middle of the city and it was the dead of winter. Then I did what seems to be the hardest part about sourdough. I waited. And waited. And waited. Once a day I “fed” this mixture with the same amount of flour and water and it took about a week before it seemed truly bubbling and alive. Once your starter is the size you wish to maintain, feel free to discard some before feeding it or you’ll have sourdough starter taking over your kitchen. If you aren’t going to feed your starter every day, it is best to keep it in the fridge. It does well in a non-reactive container that will allow some circulation, so I usually keep about a cup of starter in a mason jar with a coffee filter cover. I can confidently say that attempting sourdough has been absolutely worth it for me. Of course it’s delicious, but it’s also healthy, economical, and I can fit it around my schedule with hardly any effort. It is liberating to be able to make my daily bread, and I enjoy the challenge of always attempting to make each loaf better than the last. In my posts you will find many sourdough recipes to come, and I hope that I might inspire some of you to see for yourself how fun and easy it can be. Rye and whole wheat flour are said to be ideal for capturing wild yeast as opposed to other types of flour. An acidic environment, such as using pineapple juice in place of water, can also increase your chances of success. Some people have achieved good results adding raisins or cabbage leaves to their flour/water mixture at the beginning because these have naturally occurring wild yeast on them. There is no “right” way to approach sourdough. Based on my reading, it seems that everyone has their own method that works for them, and that’s great. Don’t be afraid to experiment to find yours, and remember your own intuition and common sense is often your best guide. Well, if I don’t say it in each recipe on my blog, I generally substitute one cup of sourdough per “package of dry yeast”– and then remove about 1/2 cup of water and flour from the original recipe to account for the mass of starter. Feel free to test out your starter with any of the recipes I’ve got–I’ve made a couple of rye porridges that have the musk of whiskey malt in the finished product. Natural yeasts are awesome! And yeah, that memoir of May Sullivan was surprisingly entertaining. I highly recommend… looking forward to seeing how your starter turns out. I love natural yeasts too, and they aren’t nearly as intimidating as they’re made out to be. I think the hardest part is the waiting! I’ve actually had my starter for a few months now and it’s been a real learning process. I wanted to begin my blog with my starter because I sort of feel like both require a bit of a leap of faith. I had heard that cultivating wild yeast wasn’t easy, but I tried, and ended up with a very positive, worthwhile result. Hopefully blogging will be another good door opening for me much in the same way. Thanks for the substitution info, that will definitely come in handy! I actually bought some fresh ground rye flour yesterday that I’m eager to try out. I also was able to get some winter wheat and spring wheat from the farmer’s market, and am curious to see what difference the fresh grains will make in my bread. They will make much more complex, satisfying textures and tastes! But I highly recommend using a recipe with a sponge method for the rye flour. And don’t have high expectations for fluffy wheat bread at first. I made several wheat bran rocks before I realized I needed to double the amount of yeast I used with whole wheat! Ah yes, I definitely know what you mean about the rocks.. the first loaves I made were 100% whole wheat, and it’s taken a lot of trial and error to get that to work. And I’ll definitely use a sponge for the rye. I’m going to make a bread post soon. Yours are very inspiring! Sourdough starters are so quirky. Keep with it! There are so many tantalizing treats that can be made from them. Sourdough can definitely be a challenge. Mine (Bertie) can be very temperamental at times but he’s getting easier to deal with as he gets older. I look forward to seeing how yours “grows up”! Thanks for the nice comment! I’ve actually had my starter for a few months now but I’m a bit of a perfectionist so I’ve been doing a lot of experiments to try to get the results I want. I think I’ve settled upon how I like to make my everyday bread and I’m going to make a post about that soon. It’s neat that there are so many different methods to explore. Welcome to this wonderful world, and all the very best. Will look forward to your recipes. Thank you, I am honoured you came to visit my blog! It isn’t much of anything yet, but I’ll be adding more as soon as I can, and hopefully you’ll have more to look at next time! Sourdough starter is next on my DIY to-do list! 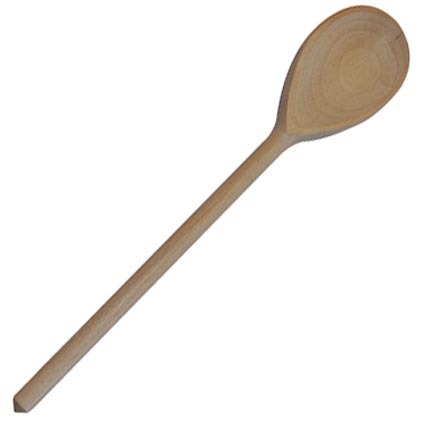 Looking forward to your bread recipe. Thanks so much for liking my Sourdough Pizza recipe on my blog Mix + Beat. Your blog looks great – I love your blog’s name – and I look forward to your all your delicious recipes. Hope your sourdough starter keeps going well 🙂 R.
You’re very welcome, and I’m so happy you like the name! I’m glad I found your blog, there are definitely many tasty things on there I want to try 🙂 Thank you for visiting my blog! Great blog, and happy I found it… While I am not much of a cook/baker, I cannot live without great bread (sourdough being on of my favorites). *I am so pleased you like my blog! I was very glad to find yours as well. I was fascinated by your post about your visit to Meijiawu and seeing firsthand the production of such fine tea. The workers sound delightful, and it’s so nice to hear that they take such pride in their work. It seems like you have had some amazing adventures, and your writing and photography is truly beautiful. Good on you starting a blog. Bit scary isn’t it – but fun. I;ve just started too. Any tips on how to start with gluten free flours? Do they work the same? I know NOTHING about bread making but would love to try but need to do it fro gluten free flours. Any comments welcomed!! If you are interested in making a wild yeast sourdough starter like I did, I don’t see why it wouldn’t work with gluten free flour, but I’ve never tried it so I can’t be sure. A more foolproof option might be if you know anyone that could give you some of their starter. You can easily transition starters from whole wheat to white or to rye, etc. So I’d assume you could do the same going from wheat to a gluten free flour. Say they give you 1/2 cup of starter, then every day you would discard half, and then replace this difference with your gluten free flour. I am sure it wouldn’t be too long until the starter doesn’t have any traces of the original wheat flour left. I’m sorry if this all sounds long and pretty complicated! Let me know if you have any specific questions and I’ll try to answer the best I can. Good luck! Wow – what an in depth reply Lilian. I kind of feel overwhelmed by it all but I;m sure once I actually get started it won’t seem so complicated. It’s like anything new, including this blog, starting is always the hardest thing to do….. so I need to just “do it”. Thanks for the encouragement you leave me here in your words. Thanks for rising to the occasion (ha ha!!). Aw thank you so much! I really appreciate that! You are so kind, thank you Judit!! I had an organic spelt starter for a while, left it with my mum so she would take care of it for a few days and she binned it D: sad times! Oh no! I’m always so afraid of that happening.. if you have one again you should look into how to dry out some to use as a back up in case something else like that happens. A spelt starter sounds awesome, I really want to try spelt bread. You’re very welcome! Your blog is really wonderful and i’m so pleased I found it! I adore sourdough, and love that you are into it too. I don’t know anyone outside the blogging world who even bakes bread, let alone sourdough, so I really appreciate finding others who share my interest in it. For my everyday bread, I usually make a 100% whole wheat sourdough loaf using the no knead method, and the process is very simple but takes two days. I love the results of longer fermentation. I’ve also made sourdough hot dog buns and hamburger buns, cinnamon buns, tortillas, muffins, pizza crust, and Russian stuffed buns as well. I’ve been experimenting with freshly ground whole wheat flour from the farmer’s market that has a lovely taste. I’m going to do a bread post soon. Thank you so much for visiting my blog and commenting! I’m finally starting my own sourdough starter after many months of interest. It’s coming along well, and I’m very excited to start baking breads and pizzas with it. I’m fascinated by fermentation and can’t get enough of the pungent, funky aroma. I’m also hoping to start making kimchee and yogurt.